Many owners of the Fitbit Flex and Fitbit Alta struggle every time to put them on securely. These and several other fitness bands have do not buckle closed but have a nub to force through slots in the band. This can be very tough to do one-handed, and you might not get it securely closed after the struggle. Owners of the Flex and various other fitness bands that lack buckle closures also complain that not only are they tough to close, but they can lose them when they fall off unobserved. You can imagine sidewalks littered with flocks of fallen and forgotten Fitbits. Part of the problem with some designs is the lack of a "keeper," a loop to put the end of the band through. A keeper helps prevent losing the band if the clasp comes loose. There are ways to adapt your strap so it has a keeper, or you may be able to change to a different style of strap. For fitness bands such as the Fitbit Flex and Alta that have the nub-and-slot closures, there is a trick to getting it securely closed without having someone do it for you. Place a dime, penny, or another thin solid object under the clasp next to your skin. Then when you push on the clasp to close it you have a hard surface to press against. This makes it easier to get a good closure. If that still doesn't work, you're going to have to break down and ask your spouse, kids, roomie, or random strangers to help you get your fitness band on securely. Don't think that it's a good solution to simply never take your fitness band off. You need to wash underneath it regularly to prevent wrist stink, rashes, and even infections. You should check your skin to ensure you aren't sensitive to the materials in the band. An earlier Fitbit design, the Force, was recalled because the charging contacts caused irritation for a number of wearers. If you change bands to a new style, wear it for only an hour or two at first and check to see whether you have a reaction. Dr. Richard Fogoros sends this solution that will prevent losing your spendy Fitbit. Head to the hardware store or plumbing store and buy a pack of o-rings. That should only cost a dollar or two and is cheap insurance for losing an expensive fitness band. Just slip it over the clasp to keep it secured. He says it is comfortable to wear and unobtrusive. An o-ring or tiny rubberband can be a good solution, but perhaps it doesn't match your style. 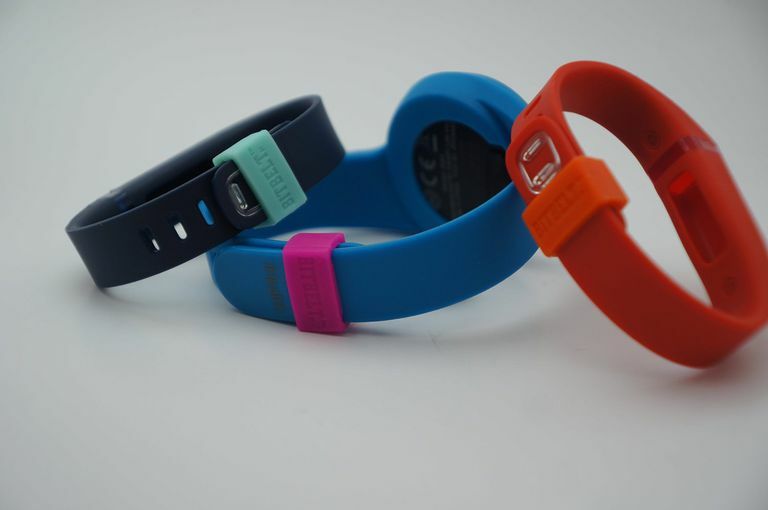 Look for silicone sleeves such as the Bitbelt that act as an add-on keeper that you slide over the band. You can mix or match colors. They have sizes for larger fitness bands and for the Flex and other smaller bands. These may be sold alongside fitness bands at the big box stores. You can also find a large variety of fitness band bling designs, some of which will act as a stylish accessory loop keeper. These may be sold next to the fitness bands, or you can find them on online sites such as Amazon. While the original Fitbit Flex and many other fitness bands had no option to change straps, newer models do. The Flex 2 and Fitbit Alta are examples of updated models that allow you to buy a variety of straps. While your options from the manufacturer are limited, there are many choices from third-party vendors. These are very inexpensive to find online and you have a wide range of colors, materials, and styles. If you need a very secure strap, choose one with a buckle closure. You won't have the same struggle to ensure the nub-and-slot closure is secure. These are unlikely to come loose even with the most vigorous activities. A stylish option is the magnetic closure metal straps, similar to the Milanese loop band for the Apple Watch. You can find these in silver, gold, and rose gold tones as well as colors including blue, red, white, and black. This style is the easiest to put on and take off, yet wearers report that they never have problems with them coming loose unintended.